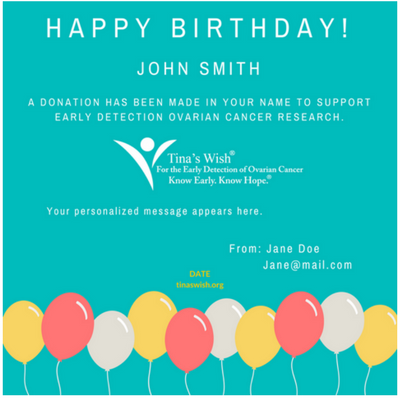 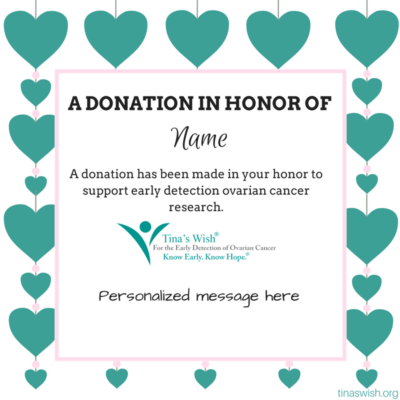 In lieu of a traditional card, honor a loved one with a donation in support of early detection ovarian cancer research and Tina’s Wish will send them a card or e-card! 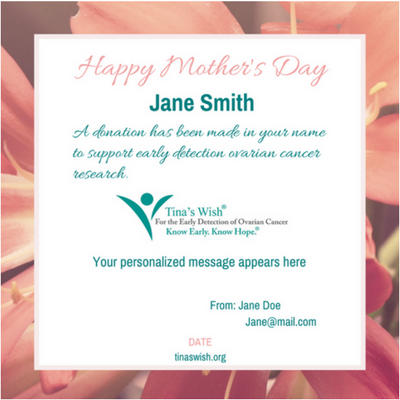 If you would like to send multiple cards/e-cards or have any other questions, we are happy to assist you. 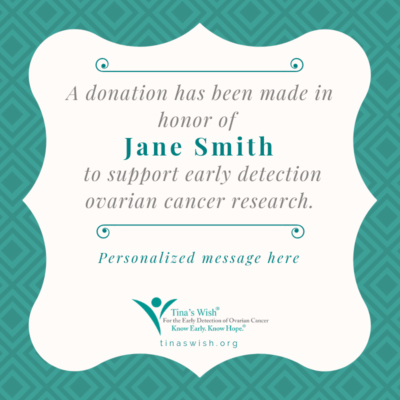 Please contact Caroline Wilson, cwilson@tinaswish.org, 212.895.1374.